This is a really simple project and I have them all over the house. 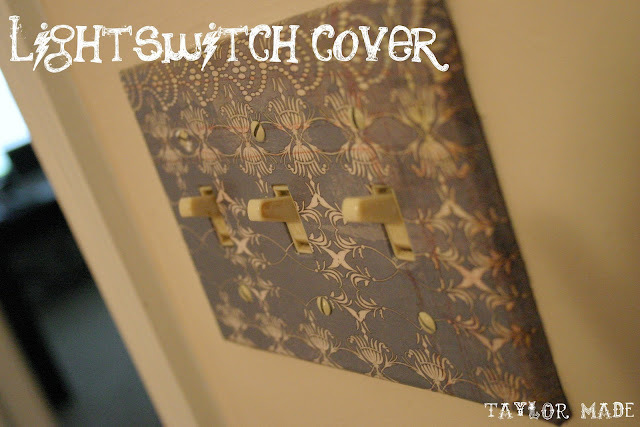 Basically all you have to do is find scrapbook paper that matches the room, use the existing light-switch cover and Mod-Podge away! Cut your scrapbook paper a little larger than the cover. Place the paper on top of the light switch. Fold the sides toward the back. 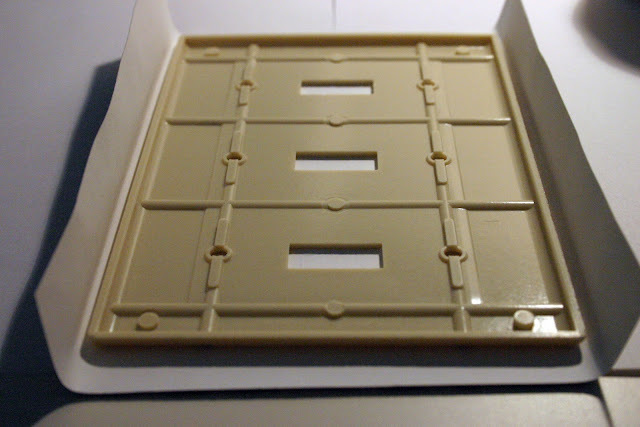 Snip the corners to make it easier to glue and less bunchy. 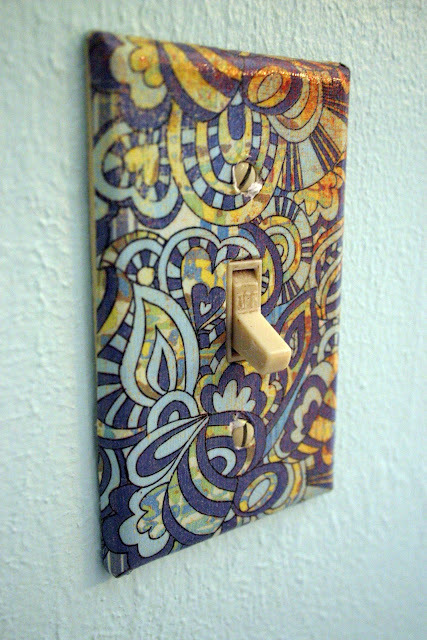 Glue (with a glue gun) all the way around the back edge of the light switch cover. 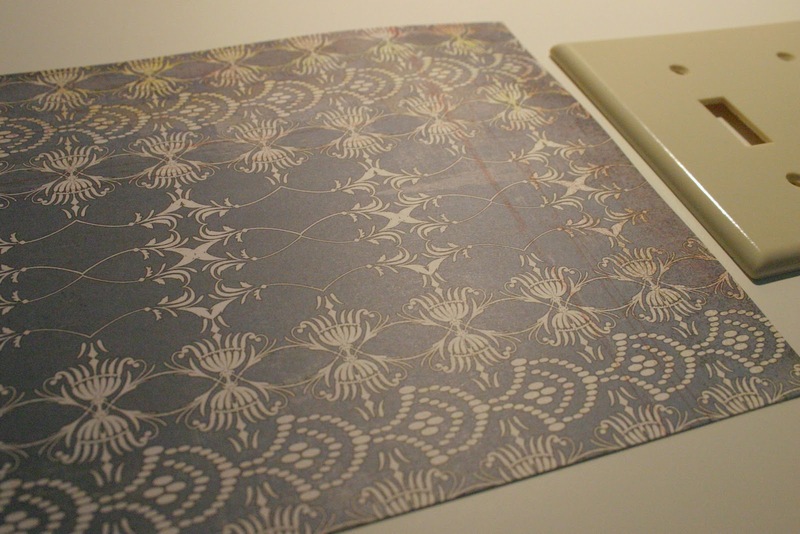 Go side by side and immediately press the paper down before it has time to dry. Glue down all of the sides and trim the excess paper. 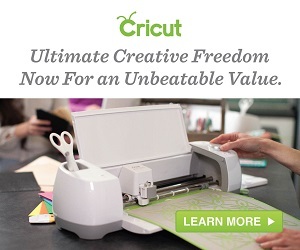 Cut a diamond to the corners and glue gun them down. Mod Podge on top of the finished product with 2 coats. Wait about 10 minutes between the coats. Your light swich cover looks very stylish! Thank you for sharing! Very cute! 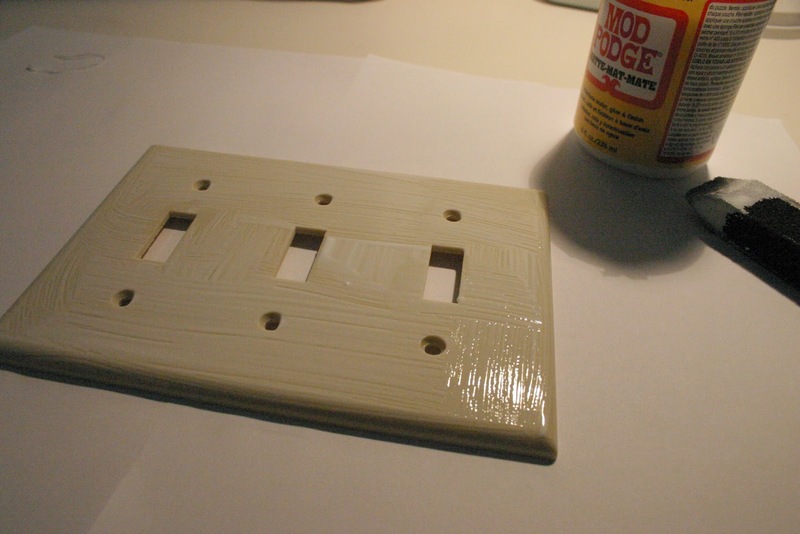 I didn’t think to use hot glue on the back instead of modge podge–much faster! Thanks!